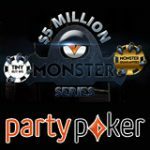 This week only, play for your share of the prize pool in the Party Poker Monster series which features 144 schedule online poker tournaments. 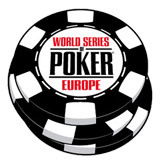 There are two tiered divisions which tournament buy-ins for both low stakes and high stake poker players. 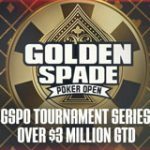 There is over $3 million in guaranteed prize pools to be won with buy-ins starting from $2.20 up to $33. 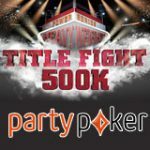 From Sunday to Sunday PartyPoker has you covered for online poker tournaments. 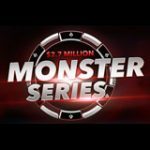 Take part in the Monster Series promotions and win extra cash and prizes through the tournament series. Monster Wheel - Spin your way to win a tournament ticket worth $5.300 to play the Millions online tournament. 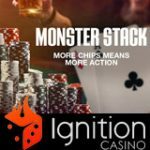 Play up to 75 tournaments and player gets up to 15 spins on the Monster Wheel. Earn double cash back points during Monster Hour! Double points are earned on selected dates and times on cash games fastforward poker. Play the Monster Sit & Go Jackpot tournaments from just $0.50 and win a $33 ticket to the Monster Series. Opt-in and complete the objectives of the Monster Missions and you could win a tournament ticket worth $5.300 to play the Millions online. Monster Value - Play the $200K Gtd 8-Max event and reach the final table to win a tournament ticket worth $5.300 to play the Millions online.